Honda is one of those Japanese companies that has absolutely nailed the fuel-efficient, fun-to-drive compact car. Aside from winning manufacturing processes, Honda’s engine technology is one of the most reliable in the world. Of course, this means they last a lot longer on the road, and while the mechanical parts may last, the soft rubber parts eventually wear or simply dry out, especially oil seals. Repairing oil leaks is a common repair on older Honda engines, including valve cover gaskets, spark plug tube gaskets, front and rear crankshaft seals, and even the oil pan. In this article we will look at how you can repair your Honda’s VTEC solenoid gasket from leaking oil. Is Your VTEC Solenoid Gasket Leaking Oil? Typically, the VTEC solenoid valve gasket is often overlooked because of the valve cover gasket right above it, which means that any oil residue may have come from the problematic valve cover gasket. Still, the VTEC solenoid gasket is a very common problem, not only for external oil leaks, which are visible, but for internal oil leaks, which only show up as a failure in the VTEC system, poor engine performance, and possibly a “Check Engine” light. Fortunately, this is an easy DIY fix, as long as you have the right tools and supplies. Better yet, you can do this in about half an hour. Looking for Honda VTEC parts? BE FORWARD offer hundreds of low-cost Honda VTEC parts that can save you hundreds in cash! First, shut the engine off and wait for it to cool off, maybe 30 minutes to an hour, because hot oil and engine parts aren’t comfortable to work with. Make sure the key is in the “Off” position, so you don’t set any diagnostic trouble code (DTC) or the “Check Engine” light. Unplug the two electrical connectors, the grey one for the solenoid, and the green one for the oil pressure sensor. Use the screwdriver to remove the bracket screw, so you can access the bolts. Stuff a rag in the area under the valve to catch the oil that will spill. Loosen the three 10 mm bolts that hold the valve housing to the block, and then remove them by hand and set the valve aside. Use rubber gloves to protect your skin and sandpaper or a Scotch-Brite pad to clean the gasket contact area of any backed-on oil residue or pieces of gasket. Clean it one more time with a rag. On your workbench, you can take the old gasket and screen out of the valve housing. Use rolled-up sandpaper or a Scotch-Brite pad to lightly clean the grooves of baked-on oil residue or gasket material. Clean the valve and sealing surfaces with brake cleaner. If you only need to replace the main valve gasket go ahead to Step 8. However, if the gasket between the solenoid and the valve needs to be replaced, continue on with steps 7 (1–3). Note: special care needs to be taken if you are replacing the gasket between the solenoid (the electrical part) and the valve (the mechanical part), as there are loose pieces which will fall out if this is done incorrectly. Use the socket to loosen the three bolts holding the solenoid to the valve. Then, holding the unit so the solenoid is in a vertical position, remove the three bolts by hand. Lift the solenoid carefully off the valve, then put your finger in over the end of the valve to keep it from falling out. Set the solenoid aside and use sandpaper or a Scotch-Brite pad to clean the sealing surfaces and grooves. Clean it with brake cleaner. Install the new solenoid seal, lightly oiled, then carefully place the solenoid back over the valve, installing the three bolts by hand until they are finger tight. Use the torque wrench to tighten the bolts to their final torque. Position the new screen in its place first, then lightly oil the new gasket and put it in its place. Return the VTEC solenoid valve unit back into its place, threading in the three bolts by hand until they are finger tight. Again, use the torque wrench to tighten the bolts to their final torque. Reinstall the bracket and plug in the two electrical connectors. Plug in the spark plug wires. 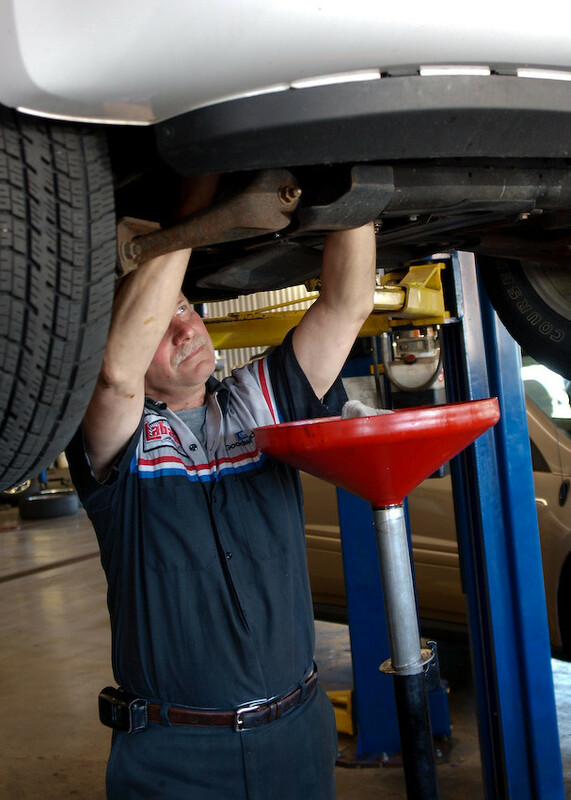 Check and adjust oil level. Start the car and run it for a few minutes, checking for any obvious leaks. In spite of the fact that the VTEC solenoid valve is a common problem, it is often overlooked. Fortunately, given about a half hour and the proper tools, you should be able to take care of it without any trouble and prevent any future engine oil leaks.